By bicycle. 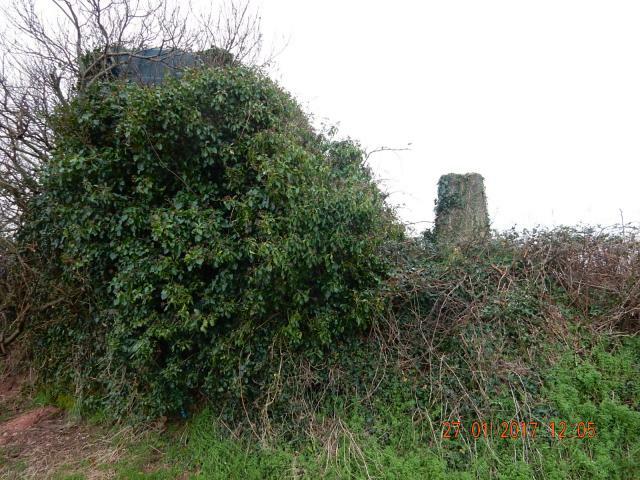 On 2 m plinth on field embankment, short walk from roadside with encroaching vegetation. 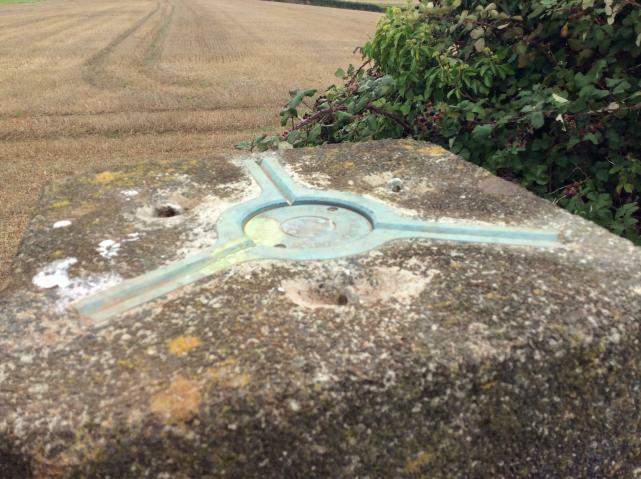 Another trig on a tall plinth on a field boundary bank, this time dwarfed by a large water tank adjacent to it. Also covered with ivy, which was also cleared. Some bramble with this one too. 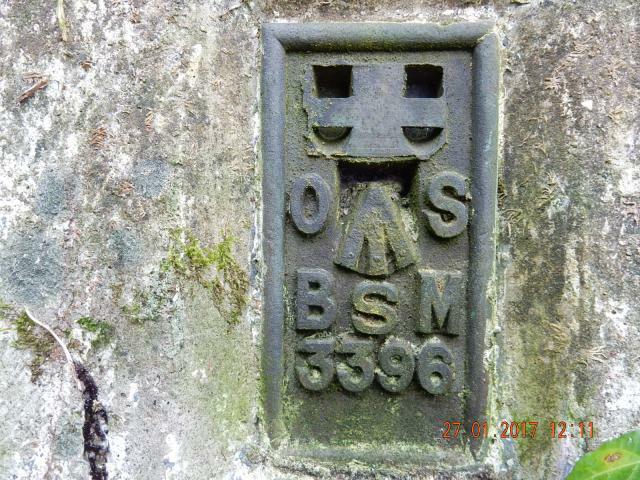 Pillar retains original top cap, lightly indented lettering; 'BSM' style FB; sight holes not checked due to encroaching vegetation on all 4 sides. Misty 360deg views. 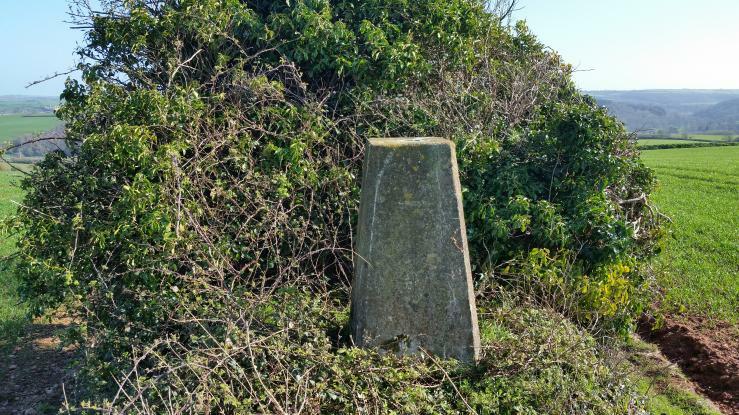 Parked near mast for the geocache, and then spotted this trigpoint on the OS map and couldnt resist the short walk up the road, and along the field hedge [avoiding the young crop] and then literally climbed up the bank to access this ivy-clad trig point. Good views all around of arable fields. 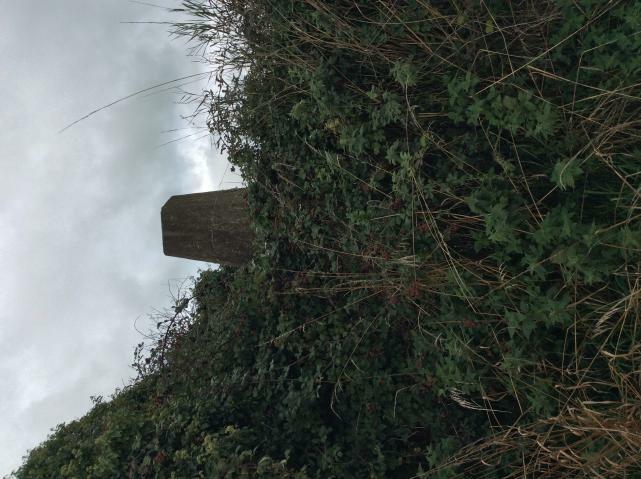 The pillar stands on a substantial plinth on a brambly hedging bank between two arable fields on a hill to the south of Ivybridge. The fields were entered from the minor road to the east. 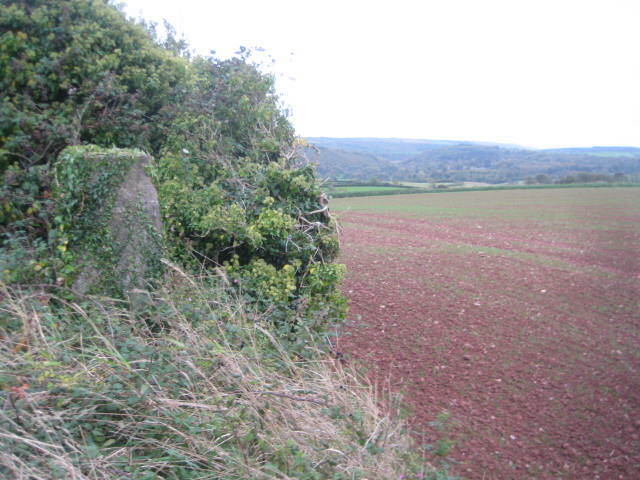 The plinth is about 6 foot square and 5 foot high; it is slightly less brambly on its west side. 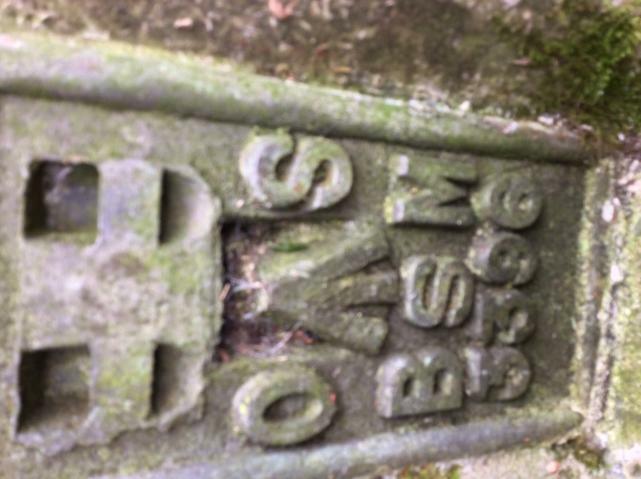 The pillar has FB S/3396 and has a metal cap with shallow lettering. A green plastic tank stands close by on the hedging bank. The town of Ivybridge and the hills of Dartmoor can be seen to the north. 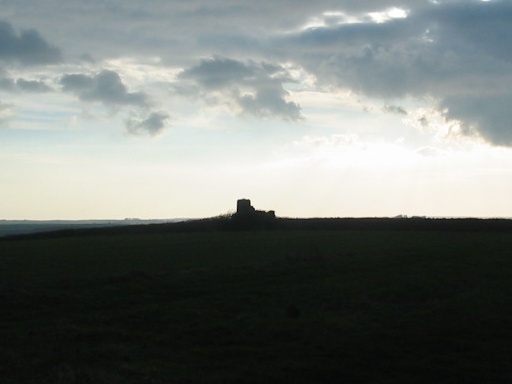 There is a broad view of rolling farmland and woodland to the south. Parked near the mast then had a quick dash across the field. Stunning views from up here. Had to climb on top of the plinth to manage to get the number. Easy to find if you know what to look for. 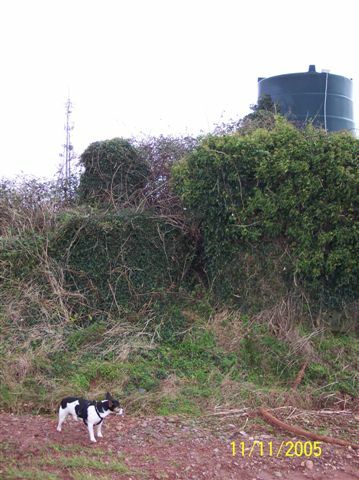 Right next to water tank on hedgerow opposite you as you enter gate nearest transmitter. 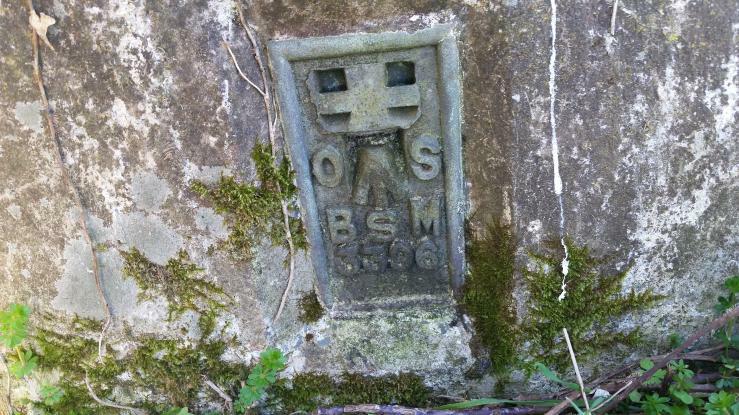 The flush bracket was hard to locate (had to climb onto wall and root around in all of the brambles and ivy). Good views of the moor (Western Beacon, Ugborough Beacon, Butterdon, 3 Barrows etc.) and could see Erme valley from moor to and beyond Ermington. 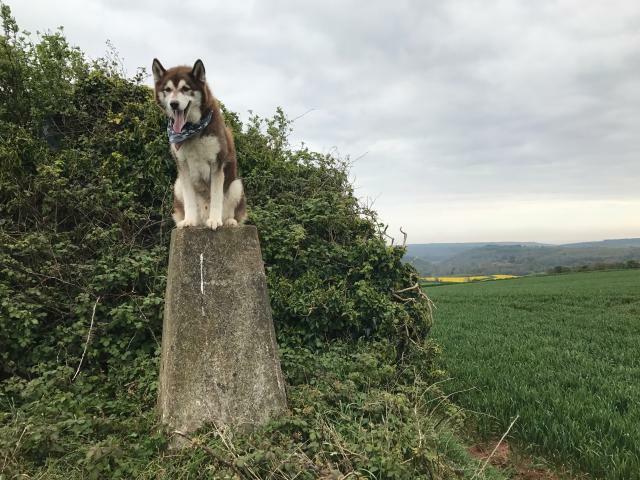 My nearest trig. Very easy to find through the gate opposite the transmitter compound. 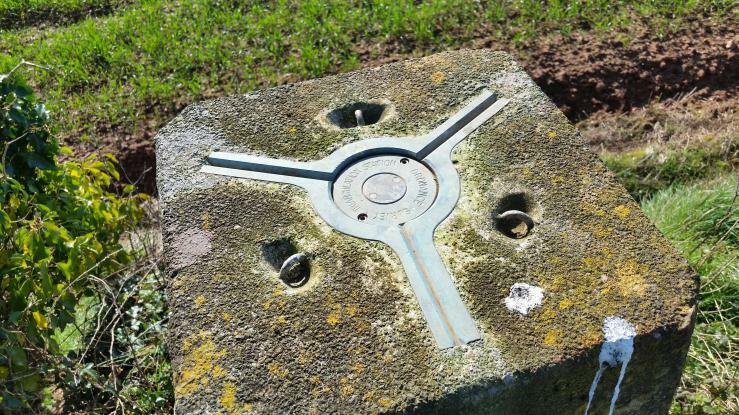 Go through the opening over to your right and the trig is far more accessible from the far side of the wall, but is up above head height. vgc, metal cap, shallow letters. BSM style FB. On N-S hedgebank just N of a tank. Thick cloak of ivy removed. Arable field. A bit of a struggle to reach this with the dog - she didn't like being on top of the bank at all, especially in the winds that were near gale force! 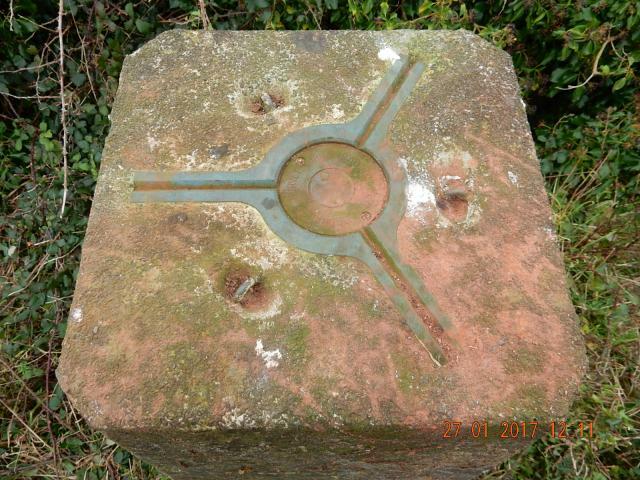 There is about a 3" growth of ivy and bramble protecting this trig, which nestles in the shadow of the large green water (?) tank. Nice views, but too murky for a photo. 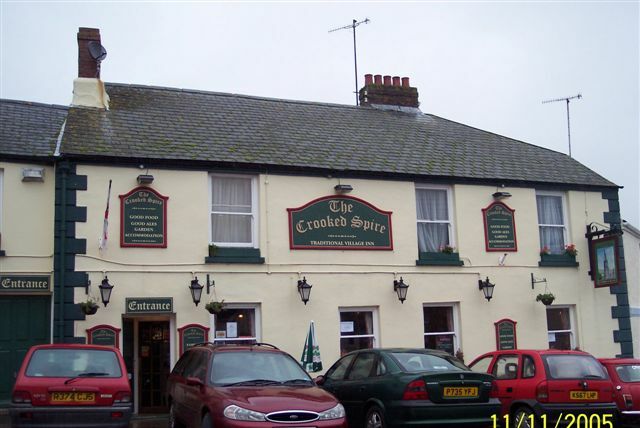 had a pint in "The Crooked Spire" in Ermington, which is a nice enough village pub. Thanks Hollowing. 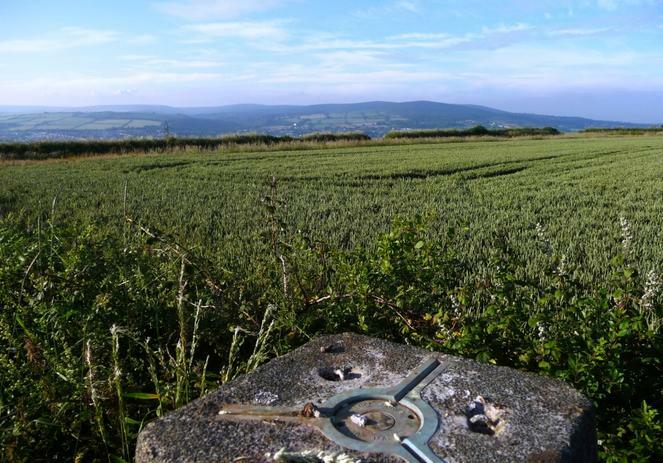 You can park at the masts, go though a gate and across one field to the trig, which is next to a green plastic water tank. 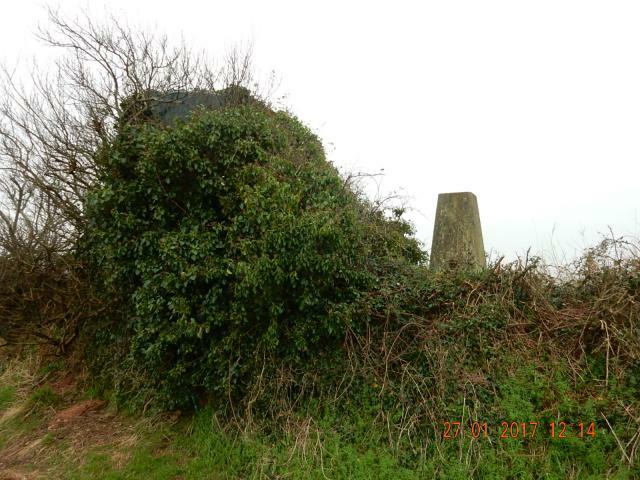 The trig is very overgrown with ivy and the FB is on the East side. Good views of South Dartmoor. Plug with indented lettering. In a hedge over a field from the road. More accurately, in a bit of a structure, in a hedge. I couldn't *actually* see the pillar - but if it exists - it'll be in this ... (The photo'll help). 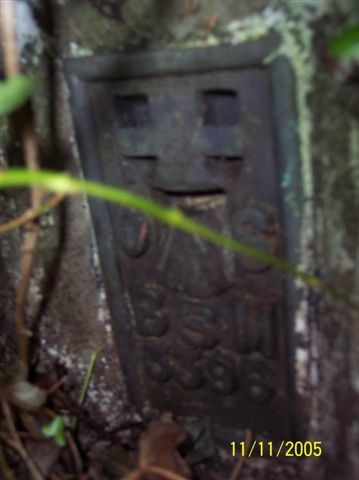 Plain pillar on big concrete block in earthbank field divide next to large water tank. Lattice mast nearby and views north towards Dartmoor.